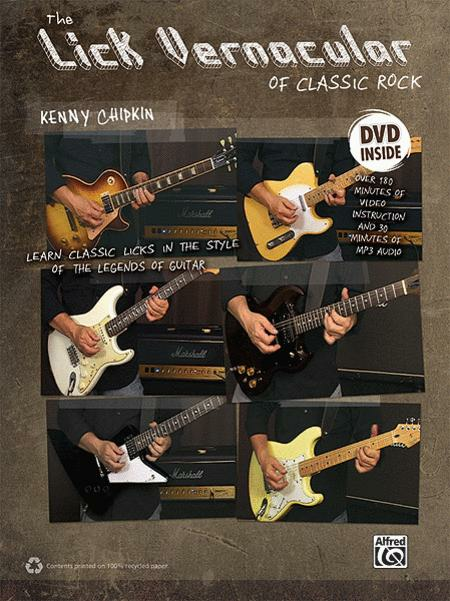 Best-selling author and educator Kenny Chipkin helps you get your classic rock licks on with this detailed show-and-tell multimedia package. Kenny breaks down how to play like the greatest players of all time in this book and DVD by carefully demonstrating and teaching every lick included. To keep things simple and to get you playing right away, music examples are shown only in TAB. The DVD features Kenny performing every lick with a live-in-the-studio rhythm section in an easy-to-follow format. Learn fretboard logistics, music theory, tips on note choice, and technique. Get the core vernacular of awesome classic-rock guitar under your fingers in days---rather than years.